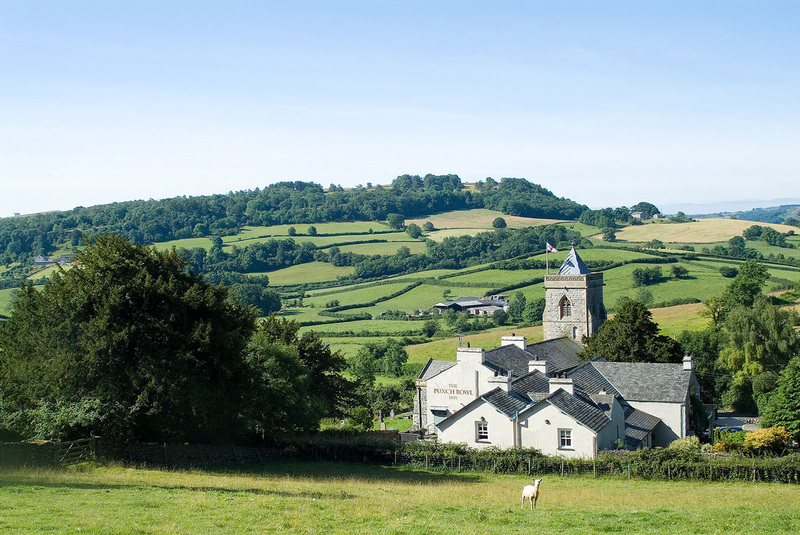 The Punch Bowl is one of the finest Lake District Inn's, offering luxury accommodation in the heart of the delightfully unspoilt Lyth Valley at Crosthwaite, alongside the Parish Church of St Mary’s. Crosthwaite itself gets its name from the Norse, meaning clearing with a cross. The present day cross made from a single piece of Limestone from nearby Whitbarrow Scar was placed to mark the Millennium, the original, probably erected by Anglican monks in the 7th Century, having long since disappeared. ﻿Take the A591 south from Ambleside, to Windermere. At the mini roundabout take the A592 to Bowness. In Bowness at the mini roundabout continue across, then first left onto the A5074. Follow Lyth Valley and Lancaster signs through Winster village. After approx 2 miles, at the sharp righthand bend, turn left for Crosthwaite. Go through the village and continue past the school. The Punch Bowl is situated on the right hand side next to the church. ﻿Take junction 36 off the M6, head towards Kendal on the A590. Take the first exit off the A590 towards Barrow. At the roundabout take the 1st exit towards Barrow on the A590, after approx 2.5 miles turn right towards Bowness and Windermere onto the A5074. After approx 3.5 miles, take the first right after the Lyth Valley Hotel. At the top of the lane turn left and you will find us on the left next to the church.